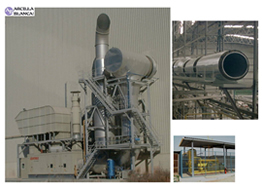 Viability studies of technical-economic Cogeneration Projects. Preliminary study of the thermal demand and of the electrical consumption. Determining the most suitable prime mover: gas turbine or gas engine. Energy and mass balances and calculation of the thermodynamic performances of the Cogeneration plant: REE and PES. Energy comparison comparing the plant with and without Cogeneration. 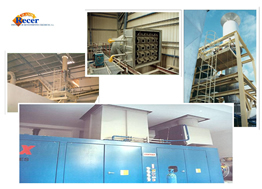 Investment: detailed estimation of Cogeneration plant. Ascertaining the clear savings of investment in the Cogeneration plant and indexes of the viability of the investment: Current Net Value and Internal Return Rate. Estudy and drawings of equipment implementation. Conduit drawings: engineering services (air, steam, water) and electrical MV, LV. Equipment, mechanical and electrical installation. Purchase specifications of equipment and installation. Mechanical calculations: structural, pipelines, thermal expansion, thermal insulation, acoustic isolation, ventilation, na receiving station, na compression, air compression, compressor of natural gas, compressed air, etc. Electrical calculations: power transformers, metering and synchronising transformers, MV and LV electrical lines, circuit-breakers, interconnection, electrical protection, metering and sales control, etc. System of distributed control: operational philosophy, control loops, instrumentation, control panels, software, SCADA systems, etc. Drawings: construction drawings, mechanical assembly drawings, electrical, natural gas and control installation drawings. "As built drawings". - Natural gas receiving station project. - Electrical project (Middle Voltage). - Electrical project (transformer station). - Electrical project (receiving station). - Electrical project (Low Voltage). Assembly supervision of electrical and mechanical installation. Management and complete certification of work. Advising on electric power and natural gas suppliers contract. Purchase, supply and guarantee of the required equipment. Purchase, supply and guarantee of the required installations. Quality control, delivery and execution times of equipment and installations. Set up and operational tests of the entire installation. 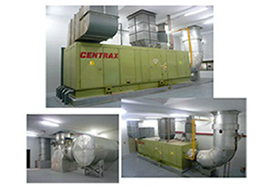 Cogeneration with gas turbine project Venís S.A. Centrax gas turbine CX501KB5 3,7 MWe. Heat recovery in two clay atomizers. 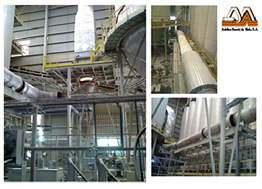 Cogeneration with gas turbine project Porcelanosa S.A. Centrax gas turbine CX501KB5, 3,7 MWe. Heat recovery in one clay atomizer. 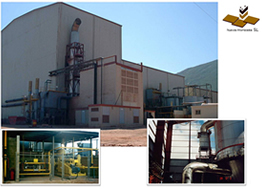 Cogeneration with gas turbine project Nuevas Atomizadas S.L. Centrax gas turbine CX501KB,7 4,8 MWe. Heat recovery in two clay atomizers. Cogeneration with gas turbine project Taulell S.A. Two Centrax gas turbine CX501KB7, 4,9 MWe each. Heat recovery in three clay atomizers. 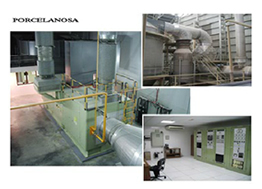 Cogeneration with gas turbine project Arcilla Blanca S.A. Centrax gas turbine CX501KB7, 5,3 MWe. Heat recovery in four clay atomizers. 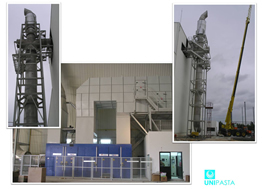 Cogeneration with gas turbine project Unipasta (Portugal). Centrax gas turbine CX501KB,5 5,3 MWe. Heat recovery in one clay atomizer. 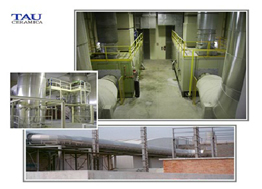 Cogeneration with gas turbine project Adelino Duarte Damota (Portugal). Centrax gas turbine CX501KB7, 5,3 MWe. Heat recovery in two clay atomizers. 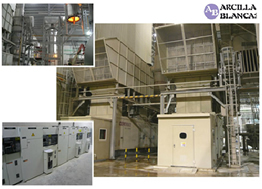 Cogeneration with gas turbine project (ampliation) in Arcilla Blanca S.A. Two Centrax gas turbine CX501KB7, 5,3 MWe each. Heat recovery in five clay atomizers. 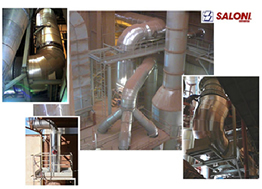 Cogeneration with gas turbine project Saloni Cerámica. Centrax gas turbine CX501KB5, 3,7 MWe. Heat recovery in one clay atomizer.